In 1989, the United States Congress enacted the Stark statute which made it illegal for physicians to make self-referrals and prevented physicians from referring Medicare or Medicaid patients for certain designated health services to any entity with which the physician has a financial interest. The purpose of this law was to remove economic incentives that may encourage some physicians to make self-referrals or to refer certain designated health services to entities in which the physician has a financial interest, instead of referrals based on a patient's health and well being. If you are a health care professional, hospital administrator, benefit coordinator, or other potential whistle blower that is aware of a health care provider referring Medicare or Medicaid patients for financial gain, feel free to contact Medicare & Medicaid Referral Stark Statute Violation Claim Attorney, Jason Coomer via e-mail message or use our submission form about a potential whistleblower, health care fraud, insurance fraud, or qui tam lawsuit. Stark violations occur when a physician (as defined by Medicare) unlawfully refers Medicare or Medicaid patients to an entity in which the physician or the physician's immediate family has a financial interest. In these situations the physician is usually making these referrals for the purpose of the physician's own financial gain and is not working in the best interest of their patients. Repeated violations of the Stark Statute can create substantial wealth for self referring doctors and can cost tax payers millions, tens of millions, or even hundreds of millions of dollars. These violations can also be hard to detect by the government and patients. For this reason it is often health care administrators, hospital administrators, benefit coordinators, accountants, and other health care professionals that are able to discover fraudulent referral practices and blow the whistle on the unlawful practice. Violations of the Stark Statute can result in both criminal and civil penalties for the self referring doctor as well as others benefiting from the fraudulent referral practices. Whistle blowers that properly blow the whistle on these unlawful referrals can not only regain large amounts of money for the United States government, saving tax payers millions of dollars that the physician and/or the entity have taken from the federal government, but the whistle blower can also collect a percentage of this recovery as compensation for bringing a Federal False Claim Act lawsuit that reveals these fraudulent referral practices. The Stark Statute is named after California Representative Pete Stark who authored this legislation to prevent fraudulent referral practices that compromised the health of patients, cost the government billions of dollars, and made unethical doctors rich at the expense of patients and taxpayers. Congressman Pete Stark first proposed the Federal physician anti self-referral law in 1988, and what became known as "Stark I" was enacted by the Congress in 1989. At the same time Congress overhauled Medicare's physician payment program and adopted the Resource-Based Relative Value Scale (RBRVS) which is a system used to determine how much money medical providers should be paid by Medicare. The Stark I law initially applied only to clinical laboratory services and became effective with the Medicare fee schedule on January 1, 1992. The Health Care Financing Administration proposed implementing regulations for Stark I in March of 1992, and these rules were finalized on August 14, 1995. They have been codified at 42 C.F.R. 411.350 et seq. In 1993, Medicare and Medicaid amendments were enacted by Congress that significantly expanded the Stark law to cover a long list of designated health services in addition to clinical lab services. These amendments added the referral prohibition to additional designated health services including: inpatient and outpatient hospital services; physical therapy; occupational therapy; radiology; radiation therapy (services and supplies); durable medical equipment and supplies; parenteral and enteral nutrients (equipment and supplies); prosthetics, orthotics and prosthetic devices and supplies; outpatient prescription drugs; and home health services. These amendments, which became effective January 1, 1995, became known as "Stark II." The Stark Statute broadly defines prohibited financial relationships and then has a list of exceptions to the broad definition. The goal is to prevent any form of benefit or compensation that may create an economic incentive for a physician to value the incentive over the health and well being of the patient or to do unnecessary services to obtain the benefit directly or indirectly. However, several exceptions to the self referral prohibition have been carved out and specifically stated and defined by Medicare to encourage beneficial referrals or allow some common practices that do not endanger patient well being. (A) The term “compensation arrangement” means any arrangement involving any remuneration between a physician (or an immediate family member of such physician) and an entity other than an arrangement involving only remuneration described in subparagraph (C). (B) The term “remuneration” includes any remuneration, directly or indirectly, overtly or covertly, in cash or in kind. (i) The forgiveness of amounts owed for inaccurate tests or procedures, mistakenly performed tests or procedures, or the correction of minor billing errors. (II) order or communicate the results of tests or procedures for such entity. (IV) the payment meets such other requirements as the Secretary may impose by regulation as needed to protect against program or patient abuse. The Anti-Kickback Statute and Stark Statutes are commonly confused, but are separate statutes. The statutes refer to one another, sometimes making compliance with one contingent on complying with the other. Both are intended to prevent health care providers from making referrals for the purpose of financial benefit to themselves instead of for the patient's benefit. For more information on the Anti-Kickback Statute or Federal False Claim Lawsuits from violations of the Anti-Kickback Statute, go to the following webpage on Anti-Kickback Statute Violation False Claim Lawsuits. A big difference between the laws in the two statutes is that to be found guilty of a criminal Anti-kickback violation, prosecutors must prove criminal intent. By contrast, no proof of criminal intent is necessary to be found guilty of a Stark violation. The Stark law is a "strict liability" law, meaning that if the physician or entity violate Stark without an exception, both are in violation of Stark (i.e. no intent is required). In contrast to the Stark law, the Anti-Kickback statute is not a strict liability statute; meaning first, that this is an intent-based law. Through Whistle Blower Lawsuits, Qui Tam Lawsuits, and other Health Care Fraud Lawsuits, hundreds of billions of dollars have been recovered from individuals and organizations that have committed health care fraud and stolen large amounts of money from the government. It is extremely important that Medical Professionals, Hospital Administrators, Benefit Coordinators, Accountants, and other Whistle Blowers continue to expose fraudulent billing practices, Federal Health Care Program Referrals, Medicare Referrals, Medicaid Referrals, Federal Health Care Program Medical Supply Bribery Rings, and unnecessary treatments that cost hundreds of billions of dollars. 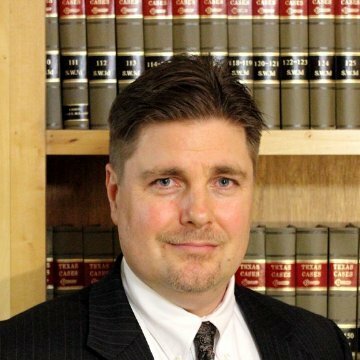 If you are aware of a large health care company or individual that is defrauding the United States Government out of millions or billions of dollars, contact Medicare and Medicaid Referral Fraud Lawyer Jason Coomer. As a Texas Health Care Fraud and Federal False Claims Act Lawyer, he works with litigation teams of powerful qui tam lawyers that handle large Medicare Referral Fraud Law Suits, Medicaid Referral Fraud Law Suits, and Health Care Government Fraud Law Suits throughout the nation to blow the whistle on fraud that hurts the United States and costs tax payers hundreds of millions of dollars, in not billions of dollars.